“View From the Philly Pressbox” – 76ers Game 7, What Happened?? Well the 76ers overacheiving season has come to an end with their 85-75, Game 7, lose to the Celtics. Most fans know that the 76ers were not really a good enough team to win the NBA title, however, since they made it as far as they did why not win? As we stated throughout we liked the matchup with Boston and thought the 76ers could win the series. We’re afraid that the three remaining teams are just far superior to them. Playing solid defense and not turning the ball over are how the 76ers got to this point but the level of individual talent and team talent was about to catch up to them. With that said, this is a young team that should only get better. All indications are they’re prepared to make a run at some “premier” players and spend the money to get them to Philadelphia. Basketball is a great game and the city has missed it for a long time. Hopefully now is the time for the return!! Below are the keys we had listed for the 76ers to win Game 7. We’ll review each one and see how they fared. We’re sticking with the 76ers to win this game 90-83. We’ve liked this series all along and feel the 76ers will win because they play better defense as a team and they have younger players that have played less total minutes than the older Celtic starters. Result – Obviously we didn’t fare well on our prediction. We did call for the Celtics to score 83 and they scored 85 but that doesn’t help when you’re on the wrong side of the scoreboard. · Hold the Celtics under 86 points. Result – As stated above, the 76ers did hold them under 86, with 85. It’s the first game of the series that the winning team scored under 86 points. · Be disciplined with the basketball. Commit less than 11 turnovers. Result – The 76ers committed 15 turnovers. Our feeling was that 11 was the maximum they could commit and it really needed to be less than that. 15 was way too many!! · Shoot 75% or better from the free throw line. 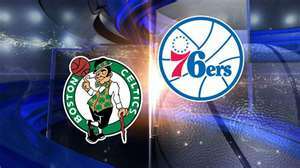 Result – The 76ers shot 14-20, 70%, for the game while the Celtics shot 20-22, 91%. Each missed foul shot is like giving away points. · Do not allow Rajon Rondo to get his triple-double. Result – Rondo got his triple-double. He scored 18 points, had 10 rebounds and dished out 10 assists. The 76ers didn’t have a good answer for Rondo in this game allowing his play to control the tempo. · Get off to a strong start and get the Boston fans out of the game. Result – The 76ers missed 9 of their first 10 shots from the field and fell behind 10-2 early, allowing the fans to get in to the game. They did battle back to tie the score at 20-20 at the end of the 1st quarter but all indications were the 76ers were flat. · Win the 3rd quarter. The team that has won the 3rd quarter has won all 6 games. Result – The 76ers did win the 3rd quarter, 19-14, but still trailed in the game 55-52 at that point. · Force the Celtics out of the paint as they did in Game 6. Result – The Celtics had only 4 offensive rebounds in the game and were kept away from the basket for the most part. The difference in Game 7 to Game 6 was the Celtics made their shots. · Force someone besides Kevin Garnett to beat them. Without Garnett, Rondo and Paul Pierce it gets thin for Boston. Result – Garnett finished with 18 points and 13 rebounds and Pierce with 15 points and 9 rebounds to go with Rondo’s triple-double. The remainder of the Celtics contributed 34 points and 12 rebounds. Needless to say the big three of the Celtics won the game. · Doug Collins has done a nice job all season of rotating in a lot of players and spreading out the minutes. This will allow the 76ers young players to continue to pressure the older Celtics players. The Celtics bench only contributed 5 points in Game 6. Result – The 76ers couldn’t establish and maintain enough momentum throughout the game to run the Celtics out the building. The Celtics had six players with 20 or more minutes. This was forced because of Pierce’s foul troubles or they would’ve only used five guys. The 76ers also had six players with 20 or more minutes and had two others close to 17 minutes. The fresh legs were there for the 76ers if they could have had some consistency. Conclusion: The 76ers shot just 35% from the field and 70% from the line. They made just 5-18, 27.8%, from the 3-point arch and committed 15 turnovers. You won’t win games with that production, especially in a Game 7 matchup against the Boston Celtics. The 76ers youth showed up at times in the 4th quarter when they began randomly launching 3 pointers. It’s always important to get off to a good start on the road and “weather the storm” while the fired up home team and crowd try to gain control. The 76ers didn’t do a good job at that and never seemed to get in synch, even when they tied the score. Jrue Holiday was a solid player in the series but hit only 5 of 17 shots while Lou Williams shot just 2 of 9 including 0 for 4 from the 3 point line. It was a good run for Doug Colling and the 76ers. The bar has been raised for 2013. There will be some player movement, likely Andre Iguadala and Elton Brand will be gone. These moves will clear up some salary space allowing the 76ers to be players inthe free agent market. The big question is that, can they or do they want to get in to the Dwight Howard sweepstakes? Why not??? Philly Pressbox would like to thank our Sponsor, Shop.com. There is nothing like a Game 7 in any sport, in any round of the playoffs and Saturday night we will get to see the 76ers and Celtics go at it to earn the right to play the Miami Heat in the Eastern Conference finals. The national media never gave the 76ers a chance in this series, and still don’t. They’ve credited Boston more with losing the series than the 76ers winning it. If you’ve followed Philly Pressbox you know that we thought that both Chicago and Boston were good matchups for the 76ers. Our feeling before the playoffs ever started was that the 76ers were as good, if not better, than the Celtics, so going to seven games isn’t a surprise. Now they need to win Game 7!! We have stated every night that the magic number is 86, as in points the 76ers could allow and still win the game. It has played out every time. In the three wins they have allowed 81, 83 and 75 points. In the games they’ve lost they have allowed 92, 107 and 101 points. In Game 6 the Celtics did not score more than 20 points in any quarter and were outscored 42-16 in the paint. The outstanding 76ers defense forced the Celtics to the perimeter where they shot just 3-14, 21.4% from the 3-point line and 33.3% from the field for the game. It wasn’t an off day for the Celtics; it was outstanding defense by the 76ers. The 76ers have done a great job of controlling Rajon Rondo, the key to the Boston offense. Rondo’s numbers are still good for most players, but not for him. Jrue Holiday has taken the game to Rondo and matched him throughout the series. The 76ers cannot let Rondo loose in Game 7. The 76ers have done a decent job of controlling the basketball and not turning it over. In their wins they are averaging 11 turnovers per game. They will need to keep that going in Game 7. They survived some erratic play early in Game 6 before taking control of the game. The big need of improvement in Game 7 will be foul shooting. The 76ers made only 17-28 free throws, 60.7%, while the Celtics made 20-23, 87.0%. If the 76ers hit their free throws they win Game 6 big. · Do not allow Rondo to get his triple-double. There you have it. 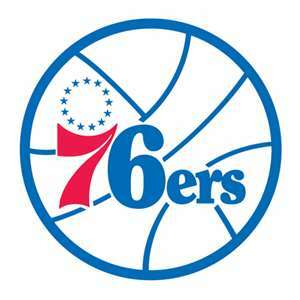 LET’S GO 76ERS!!!! The 76ers Final Week of the Season – PLAYOFFS? It looks like the 76ers have overcome their inconsistent play in the second half of the season and are going to make the playoffs. After all, the goal at the end of the regular season is to be in the playoffs, and the 76ers will be there. It’s a good thing it’s not a beauty contest or the 76ers would be on the outside looking in, but it’s not and with one 76er win, or one more Milwaukee Bucks lose, the 76ers are in. The two teams play each other on Wednesday in Milwaukee. With that said, they are presently tied with the New York Knicks, so depending on how the Knicks fare in the final three games the 76ers could finish in the seventh spot. The Knicks hold the tie breaker. The 76ers and Knicks both carry 33-30 records while the Bucks are 30-33. First things first though. The 76ers play on the road against the Nets on Monday, before going to Milwaukee on Wednesday and on to Detroit on Thursday for the regular season finale. The Bucks host the Toronto Raptors on Monday, the 76ers on Wednesday and travel to Boston for their final game on Thursday. The Knicks play at Atlanta today, host the Clippers on Wednesday and travel to Charlotte on Thursday. The Clippers and Hawks are both playoff teams. The schedule favors the 76ers, except that they’re on the road. As we’ve stated for months, we feel the 76ers will be better off in a first round match up against the top-seeded Chicago Bulls than the second-seeded Miami Heat. The 76ers are 1-2 against the Bulls playing reasonable close games while they are 0-4 against the Heat and haven’t been very competitive. The 76ers started the week by losing the first two games against Orlando and Indiana but bounced back to win the final two, Cleveland and Indiana. The Cleveland win featured outstanding games was from Jrue Holiday, 24 points, 5 assists and Andre Iguodala, 19 points, 13 rebound and 7 assists. The overtime win last night at Indiana was a big win against a good team. Lou Williams came off the bench, again, and scored 19 points, 7 in overtime. Elton Brand led the scoring with 20 points and 9 rebounds. Holiday added 17 points with 7 assists, Iguodala scored 16 and Thad Young added 15points and 8 rebounds off the bench. Next week we’ll post our 76ers playoff preview!! At Philly Pressbox we’re trying to keep the faith in regards to the 76ers as the regular season winds down. The late season collapse has made it very difficult. The things that looked like they were positives early in the season, balanced scoring, equal playing minutes, not wearing players out, and playing good defense have backfired on the 76ers down the stretch. It appears that the teams’ youth and apparent lack of leadership have taken its toll as the losses have mounted. As a result, Doug Collins appears to have lost some of his players. An example of this was the lazy turnover by All Star, Andre Iguodala in the backcourt against the Nets that was inexcusable. With that said, the 76ers are still holding the 8th position in the Eastern Conference playoff picture with 7 games to go. They are presently tied with the New York Knicks with 31-28 records. The Milwaukee Bucks are in the 9th spot, 2 ½ games behind the 76ers. The Bucks only have 6 games remaining. The 76ers still have the playoffs in their own hands; however, they have to win on the road, start playing better, more consistent, basketball. Of the 7 remaining games, 6 of them are on the road, with the next to last game being at Milwaukee. This week brings four more games, Monday at Orlando, Tuesday, at home, against Indiana, Wednesday at Cleveland and Saturday at Indiana. Milwaukee plays at Washington, at Indiana and at home against the Nets. Obviously, the third seeded Pacers will have a lot to say about the playoff picture. The Knicks, in the meantime, host the Miami Heat today and Boston on Tuesday. They play at the Nets on Wednesday and at Cleveland on Friday. The Knicks have been playing good ball, but of the three teams their week is the toughest. As we stated the 76ers control their own destiny but they must win. Quite frankly, we’ve been saying for weeks that we didn’t like seeing the 76ers in the 7th spot, where they would face the #2 seeded Heat. The 76ers have no answers for the Heat. They would be better as the 8th seed against the #1 seeded Bulls. Neither one is a very good match up, that will likely result in an early playoff exit for them. We’ve been saying for several weeks that we felt Coach Collins should settle in to a starting five and let them get minutes and play together. He never really did that. 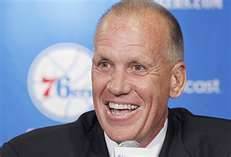 I like Doug Collins and think he’s done a pretty good job with the players that he has to coach. Most of them are young. 33 year old Elton Brand showed leadership, but his game as slipped. He’s averaging 10.8ppg and 7.3rpg in just less than 29 minutes per game. Jrue Holiday has tried to take some leadership on the ball club. Jrue is average 13.4ppg, second on the team. He’s also second on the team in minutes per game. The team leader is still expected to be Iguodala. Iggy is averaging 12.0ppg, 6.0rpg, and 5.5 assists per game while leading the team in minutes played. Iggy just hasn’t been the star in the second half of the season that the 76ers needed. In the last seven games, all of them important, several guys need to step up and try to carry this ball club, whether it’s the guys we’ve mentioned or leading scorer Lou Williams, 15.0ppg off the bench, or Thad Young, another 12.6ppg off the bench, it needs to come from somewhere and soon!! It is very tough to measure the overall team improvement at this point in the season. Once the regular season plays out and we know if this team was able to make the playoffs we’ll have a better idea. I guess the most important thing is getting in to the playoffs. We’ll see how that works out. Riddle Me the Flyers & 76ers?? Riddle me this Philadelphia sports fans. Who are these Flyers and 76ers teams that we’re following, hopefully to the playoffs? Let’s start with the Flyers. Last week in our review we stated that the Flyers had a somewhat light week with only three games, two of them at the Wells Fargo Center against Tampa Bay, and Ottawa with a trip to Toronto sandwiched in between. We stated that the Flyers needed at least 5 points, if not 6, for the week. Tampa and Toronto are likely out of the playoffs, so they needed to win those games. One, if not two points against Ottawa, would make a good week. Instead, the Flyers forgot that there was a game against the Lightning and stunk the place up, losing 5-3. They moved on to Toronto and took care of their business by winning 7-1. They closed out the week by losing another shootout to Ottawa, 4-3. That’s 3 of the possible 6 points for the week. The Flyers hold the 5th spot at this point with 99 total points. In the meantime, the 1st place Rangers won all three of their games. They now have 50 wins and 107 total points. The Penguins went 2-2, losing both games to the Islanders. The Pens are presently in the 4th spot with 102 points. There’s now just one week left in the regular season with each of the three teams having 4 games remaining. For the Flyers and Pens they control their own destiny. They play each of other twice this week, both times in Pittsburgh. The first game is this afternoon, Tuesday the Flyers host the New York Rangers, Thursday they host the Buffalo Sabers and close out the regular season next Saturday in Pittsburgh. The Flyers must also be aware of the New Jersey Devils that are sitting just 3 points behind them. The Devils have 3 games remaining. A big question mark for the Flyers will be the goaltending situation. The red hot Ilya Bryzgalov is fighting off a chipped bone in his foot. Sergei Bobrovsky has been getting the work. The Flyers need Bryz back at full strength heading in to the playoffs. If the playoffs were to start today it would look like this, #1 Rangers hosting #8 Washington, #2 Boston hosting #7 Ottawa, #3 Florida hosting #6 New Jersey and #4 Pittsburgh hosting #5 Flyers. As we’ve previously stated, being the road team against Sidney Crosby, he’s on fire with 3 – 4 point games since his return, and the Penguins isn’t the best match up for the Flyers. The 76ers continue to mystify. They finished the week 2-2. We felt that they needed to finish the week 3-1. We didn’t expect them to beat San Antonio on the road but we did expect them to compete. They didn’t, losing 93-76. They beat Cleveland as expected but then laid their biggest egg of the season by getting blown out by the Washington Wizards, 97-76. The 76ers were never in the game and never showed they were interested. This was a game the 76ers had to win! The Wizards now have 12 wins on the season. That’s right, they are 12-39. How can you get blown out of that game? With that lose the 76ers fell from 1st place, 4th seed overall to 2nd place and the 7th seed overall. If the season were to end today they would be in a first round matchup against the Miami Heat. That is not where they want to be. The 76ers have watched their Atlantic Division lead dwindle over the last month and now find themselves .5 games behind Boston and 2.5 games ahead of the New York Knicks. There are 14 games remaining in the regular season. This week doesn’t get any easier except that there are only three games rather than four. They visit the Heat on Tuesday, host Toronto on Wednesday and host Orlando on Saturday. Reality says they will win only one of the three games. If they could manage to beat Orlando that would be a boost. They won’t beat Miami. In the meantime, the Celtics have an extremely difficult week. They host Miami and San Antonio before hitting the road for games at Chicago and Indiana. They could actually lose all four games. Looking ahead slightly, the 76ers and the Celtics play next Sunday. As we stated last week the 76ers seem to be a team looking for a leader. Each night someone else picks up the slack but they’ve shown inconsistency night after night. Apparently, Coach Doug Collins agrees but isn’t planning on much change at this point in the season, “I don’t know what I could do, really,” he said before the meeting against the Hawks. “I think we’re still adjusting to the change I made before [by inserting Evan Turner into the starting lineup]. Coach, I hope holding steady is enough to win the Atlantic and get back to the #4 seed and a matchup with Indiana or Atlanta in the 1st round of the playoffs. Playing Miami will bring the season to a quick end. Please click the following link http://www.shop.com/ul!52548!2012+Flyers-trends.xhtml?credituser=C9407795 for all of your Flyers needs. Shopping made easy right from your home without ever missing a minute of the playoffs. Last week in our review we stated that the Flyers needed to get all 8 of the available points for the week. We knew that would be tough with games against the Penguins, Panthers, Capitals and Canadians. The Flyers did earn 6 of the 8 points, losing a very well played 2-1 game to the Panthers. The week started with a fantastic come-from-behind 3-2 victory over Pittsburgh with 0.9 seconds remaining in overtime on a Scott Hartnell goal. The Florida loss followed. The Flyers bounced back with a 2-1 shootout win over Washington and a 4-1 dominating victory against Montreal. The Saturday night win clinched a playoff spot for the Flyers. The interesting statistic from the week, after spotting the Penguins a 2-0 lead on Sunday, the Flyers outscored their opponents 10-4 for the remainder of the week. The standings didn’t change over the week. The Penguins presently hold the 4th spot in the Eastern Conference 3 points behind the 1st seeded Rangers. The Pens are still hot in spite of losing big to Ottawa on Saturday night with their backup goalie. Sidney Crosby and Evgeni Malkin have been on fire. The Rangers have cooled off but have managed to hold on to their lead in the Atlantic Division and the Eastern Conference. The Pens have 8 games remaining while the Rangers and Flyers have 7 each. The Flyers have 3 games this week, 2 of them at the Wells Fargo Center. Monday they host Steven Stamkos and the Tampa Bay Lightning. Stamkos is a scoring machine. He presently leads the NHL with 52 goals. The Lightning are likely out of the playoffs but could be a spoiler for the Flyers. This is a must 2 points for the Orange and Black. Thursday’s game is at Toronto against a Maple Leafs team that is also likely out of the playoffs. Again, this is another 2 points the Flyers must get. Saturday, it’s back home to “The Well” against the Ottawa Senators. The Sens are currently in the 7th spot in the Eastern Conference playoff chase. The Flyers need the 2 points in this game, but must get 1 point at the least. This weeks schedule is also favorable to the Rangers, 3 games against non-playoff teams and the Penguins, 4 games with only 1 against a playoff team, the Devils. This is a week where all three teams should gain points leading in to the final week of the season. The final week of the season is heating up to be special with every game being important in the final playoff positioning. The Flyers have a game against the Rangers and two with the Penguins. Home ice and the 4th seed would be a good landing spot at this point. Making up 5 points on the Rangers and 2 on the Pens may be too tough to do with only 7 games left in the season. The 76ers are a mystery team. Just when you thought they might be dead and gone they whip the Celtics again in another blowout at the Wells Fargo Center. We felt that the 76ers needed to beat the last place Charlotte Bobcats to open the week, they did. They needed to beat the revived New York Knicks but lost, 82-79, before bouncing back with the big 99-86 win over Boston. The 2-1 record for the week leaves the 76ers hanging on to a 1.5 game lead over the Celtics and a 3.5 game lead over the Knicks in the Eastern Conference. There’s no rest this week. The 76ers have 4 games in the next 7 days with no room to slip up. They open tonight in San Antonio against a very good Spurs team. They come back home to host the Cleveland Cavaliers on Tuesday. The Cavs are on the outside of the playoff picture. Friday night it’s off to Washington to play the Wizards. The Wizards have won only 11 games all season. Saturday night it’s back to the Wells Fargo Center to host the Atlanta Hawks. The Hawks are also a good team. They’ve actually won two more games this season than the 76ers. The 76ers need to beat either San Antonio or Atlanta as well as win the two games they should win, Cleveland and Washington, to finish the week with a 3-1 record. The 76ers seem to be looking for answers every night. One night the leader is Elton Brand, another it’s Lou Williams, another it’s Jrue Holiday. Evan Turner seems to have disappeared as quickly as he arrived. The 76ers have played all season with balanced scoring and good defense while not overusing any player. It seems it’s time to establish who the top six or seven players will be going in to the playoffs and use them down the stretch. Congratulations to Head Coach Doug Collins on winning his 400th NBA game against Boston on Friday night. Collins has done a real nice job with this young 76ers team. It would be good to get by the first round of the playoffs. Last week in our review we stated that the Flyers needed 6 points for the week to stay in contention. We said they would split with the Devils and they did. We said they would beat the Islanders and they did. We also said they would beat the Bruins in Boston and they didn’t. They did get a point after the shoot out lose. That totals 5 points for the week. Honestly, the one point doesn’t hurt them that much overall at this point in the season, although all points are important. What do you mean the point isn’t that important? The Penguins presently hold the 4th spot in the Eastern Conference just 2 points behind the 1st seeded Rangers. The Pens are the hottest team in the league, winning their 11th in a row last night against the Devils. Sidney Crosby is back, again, and has recorded 5 assists in the 3 games since his return. The Flyers are the second hottest team in the East and presently hold the 5th spot in the playoff picture sitting 3 points behind the Pens going in to todays matchup at the Wells Fargo Center. Unless the Flyers or Pens can take over the first spot in the East they will play each other in the first round of the playoffs with the Penguins having the home ice advantage. That’s the worst scenario for both teams, especially the Flyers. With that said, the Flyers have 11 games remaining in the regular season, 3 against the Penguins and 1 against the Rangers so there’s a lot of hockey left and a lot can happen. Looking at the upcoming week for the Flyers, all four of their games are at home and they need to win them all. Seven points is a must this week but eight should be the goal. Obviously, todays game against Pittsburgh is the key to the week and a potential 4 point swing in the standings. 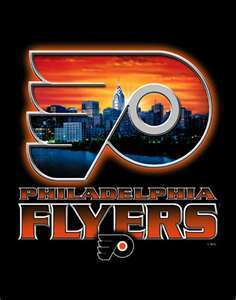 Tuesday the Flyers host the Florida Panthers, Thursday the Washington Capitals and Saturday the Montreal Canadians. These are all games the Flyers should and must win. The Flyers continue to get outstanding play from goaltender Ilya Bryzgalov, Claude Giroux, Scott Hartnell, Wayne Simmonds and the defense. Bryz set the Flyers team record this week with 249 minutes, 43 seconds of scoreless hockey. In the month of March, Bryz now holds a 7-1 record, while stopping 226 of the 235 shots he’s faced, a 96.2% save percentage. Giroux continues to be a league leader in points and is a top candidate for the Hart Trophy as the league MVP. Giroux is presently 3rd in total points with 82, behind Evgeni Malkin, 87 points, and Steven Stamkos, 84 points. He is also 2nd in the league in assists with 56, trailing Vancouvers, Henrik Sedin by 1 assist. Hartnell is presently 6th in the NHL with 33 goals. The schedule is in the Flyers favor this week and they need to take advantage of it and earn the 8 possible points. We felt that the 76ers needed to split the week this week. We didn’t expect them to beat Miami or Chicago but we did expect them to beat the Knicks and Pacers, they didn’t. After starting the week with a nice win at Madison Square Garden for their third straight win, things went bad from there. Indiana, Miami and Chicago are all quality teams and the 76ers couldn’t compete with them. They were blown out in Indiana, 111-94, allowing the second most points in any game this season. They were blown out again by the Heat, 84-74. Don’t be misled by the final score. The 76ers were down by 29 points in the 1st half. The Heat took their foot off the throttle or could’ve won the game by 40 points. On to Chicago, who played without their best player, reigning MVP Derrick Rose and the 76ers could not compete. They did have a halftime lead but got outscored 51-36 in the 2nd half. The 76ers still hold a 1.5 game lead in the Atlantic Division over Boston and a 4 game lead over the Knicks. They are presently the 4th seed in the Eastern Conference, which they will maintain if they win the Atlantic. If Boston were to win the Atlantic the 76ers could drop down as far as the 7th or 8th seed and have to play Miami or Chicago in the 1st round of the playoffs. That isn’t the scenario they want. The 76ers get a break this week with only three games, however, they are important. They open the week Monday at Charlotte against the last place Bobcats. They follow that with critical home games Wednesday against the Knicks and Friday against the Celtics. The 76ers must win all three games this week if they’re going to hold on to the Atlantic Division lead. There are 21games remaining in the regular season, these three are as important as any, as the 76ers try to regain some momentum and consistency going down the stretch. Please click the following link http://www.shop.com/ul!52548!2012+Flyers-trends.xhtml?credituser=C9407795 for all of your Flyers needs. Shopping made easy right from your home without ever missing an inning of the 2012 Phillies. Last week we stated in our review that we felt that the Flyers needed a minimum of 6 points for the week with hopes of gaining 7 points. They had tough games against Washington, Detroit, Florida and Toronto. Little did we know they would win all 4 games by a combined score of 10-2 and that Ilya Bryzgalov would pitch 3 shutouts. Bryz was tremendous! He stopped 128 of the 130 shots he faced during the week. As we’ve stated many times before, hot goalies win playoff series and Bryz is as hot as anybody. Offensively the Flyers did enough to win, scoring 1, 3, 5 and 1 goals across the week. Obviously you can’t depend on winning 1-0 shutouts all of the time as they did twice this week. More offense is a must. Claude Giroux continues to have an outstanding season. He had a goal and 3 assists this week and now has 24 goals and 55 assists for 79 points through 67 games. Scott Hartnell continues to have his best season with 32-28-70. Hartnell’s leadership really showed again this week as opponents have tried to take liberties with Giroux. Hartnell has come to his defense and dropped the gloves to protect the team’s best player. The same can be said for Wayne Simmons (22-19-41) who took on Buster Crabb of the Maple Leafs and scored an easy victory after the Leafs continued to slash Giroux. The biggest improvement overall has been the defense and Bryzgalov. Good defense and good goaltending often go together and the Flyers have definitely tightened up their game. With that said, defensive turnovers are no longer becoming automatic goals because Bryz has come up big and made the stops when needed. Overall, this week the Flyers have had outstanding team efforts and as a result won all 4 of their games and earned the 8 points. Looking at next week it doesn’t get any easier. The Flyers are presently the 5th seed in the playoffs, 2 points behind the Pittsburgh Penguins and 6 points behind the number one seed New York Rangers. At this point last week that Flyers were 12 points behind the Rangers. This week 3 of the 4 games are on the road starting today with the New Jersey Devils. The Devils come to the Wells Fargo Center on Tuesday before the Flyers go to Long Island and then to Boston. The Devils are just 2 points behind the Flyers for the 5th seed so these two games will be critical. The Islanders are virtually out of the playoffs but the Flyers cannot have a letdown on the road. The Boston game will be Saturday afternoon on the NHL Network as the showcase game of the day. The Flyers are 1-2 against the Bruins winning on opening night 2-1 in Boston but have had trouble stopping them since, losing 6-0 and 6-5 with both games at home. The Bruins are presently the number two seed in the Eastern Conference 8 points behind the Rangers. Again, we feel the Flyers need at least 6 points again this week. We are thinking a split with the Devils, a win against the Islanders and a win against Boston on the road. We felt that the 76ers needed to win 3 of their 4 games this past week against Chicago, Milwaukee, Boston and New Orleans. They started the week slow by losing to Chicago and Milwaukee, but bounced back with a blowout of Boston and a win over the Jazz. Depending on how the season finishes we feel that the loss to Milwaukee will be one to be looked back on as a critical lose. The Bucks are not very good and on the playoff bubble. It was a bad time for a letdown. This was the week that Evan Turner arrived. Coach Doug Collins inserted Turner in the starting lineup against the Bucks for the first time. Turner did not play well, shooting just 1-12 from the field and finishing with 2 points. Collins stuck with Turner and he responded with 26 points and 9 rebounds against Boston and 16 points, 12 rebounds and 6 assists against New Orleans. The addition of Turner to lineup that already includes 6 double figure scorers provides the 76ers with even more weapons going down the stretch. A big question for the 76ers through the last third of the season is the health of Spencer Hawes. Hawes has played in only 14 games this season. He was averaging 10.5ppg and leading the team with 8.3rpg. If Hawes can get healthy and contribute down the stretch he will only make the 76ers better in the playoffs. This week will be another major challenge for the team. They play 4 games in the next 7 days beginning today at Madison Square Garden against the Knicks. They move on to play Indiana on the road before hosting the Miami Heat and closing out the week in Chicago against the Bulls. A 2-2 week is a must. Beating Miami and Chicago will be difficult. The 76ers lead over the Celtics is down to 2 games so they won’t be allowed any slip ups during the week. They have to win the games they’re supposed to win. If they can add an upset victory that’s all the better. Please click the following link http://www.shop.com/ul!46125!76+ers-trends.xhtml?credituser=C9407795 for all of your 76ers needs as well as any other shopping needs. Shopping made easy right from your home. It’s pretty safe to say that this is a huge week for both the Flyers and the 76ers. 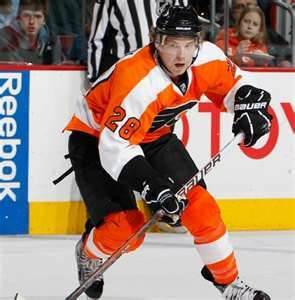 The Flyers are struggling with injuries having lost James van Riesmsdyk for the season with a broken foot. Kimmo Timonen, Braydon Coburn and Andres Meszaros are also banged up on defense. Add these guys to the “normal” aches and pains of being 63 games in to an NHL season and the Flyers could be in some trouble. This week brings four very tough games against Alex Ovechkin and the Washington Capitals on the road tonight, home against the Western Conference Central 1st Place Detroit Red Wings, home against the Eastern Conference 1st Place Florida Panthers and at Toronto against the Maple Leafs. Washington and Toronto are both in the 3rd place in their divisions and fighting for playoff spots. If the season ended before today’s games both would be out of the playoffs by a couple points so these games are very important. Each game is very important for the Flyers as they try to stay in the playoff hunt. They got better goaltending from Ilya Bryzgalov on the west coast trip but the offense went to sleep. Bryz warming up is a great sign for the Flyers moving down the stretch. Playing good defense also helps with the goaltending. Did you notice that the New York Rangers are running away with the Eastern Conference? The Rangers have only given up 130 goals in 63 games. They are playing solid hockey and lead the Penguins by 10 points and the Flyers by 12. The Flyers on the other hand have given up 191 goals in 63 games. The Flyers need some players to pick up their offensive game down the stretch as well. What has happened to rookie Sean Couturier? Couturier has 1 goal and 0 assists in the last 5 games and Danny Briere has just 13 goals on the season. He needs to heat up!! Claude Giroux, Scott Hartnell and Wayne Simmonds can’t carry the goal scoring. My thinking is that the Flyers need 6 points this week, 5 at the minimum to hold their ground. The 76ers also have their hands full this week. They have played solid throughout the season having really only one lull all season. With that said the Boston Celtics are still just 3 games behind and riding a 3 game winning streak right now. The Celtics come to the Wells Fargo Center on Wednesday night in an important Atlantic Division game. Before Wednesday though, the 76ers have back-to-back games Sunday and Monday against the 1st Place in the Central Division Chicago Bulls (30-8) and at Milwaukee to face the Bucks. Following the Celtics game is another home game against the New Orleans Jazz on Friday night. This is 4 games in 6 nights this week but 3 of the 4 are at home, which will help. The 76ers are ranked #1 in points per game allowed in the NBA, the Bulls are 2nd and the Celtics are 3rd so expect low scoring games against them. The 76ers can probably afford to lose to the Bulls, especially with the Celtics playing the Knicks this afternoon and they could lose. They need to win the games against the lesser teams, Milwaukee and New Orleans, and need to beat Boston. A win against the Celtics would be a two game swing in the standings. Doug Collins will have the team ready to play. They need to stick to their fundamentals of good defense and limiting turnovers while getting contributions from the whole team. It’s big week for our teams to stand up and be counted!! !